In the TFF DreamTeam game, Wild Briar Village is the current leader in the Moo’s Tennis Blog league. This isn’t good news because that’s my brother. HannonShane is in second place followed by Caskett in third place. This will probably have changed if you’re checking the leaderboard now! I’ve had a solid start in the men’s, but I have already lost four women! After Thursday’s snooze-fest, there are some much better looking men’s matches for Friday. 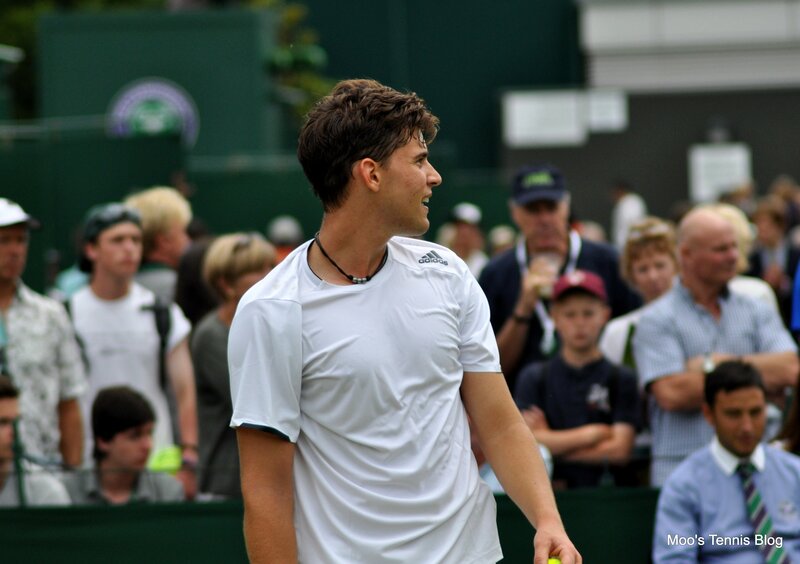 Best buddies, Dominic Thiem and Ernests Gulbis go head-to-head in one-to-watch on Friday. Thiem and Gulbis both won their first round matches in straight sets. Thiem beat Lukas Lacko, 6-3 6-3 6-2, for his first US Open main draw win, meanwhile Gulbis beat Kenny De Schepper, 6-1 6-4 6-2. Gulbis lost his only ever match with De Schepper on the grass courts of Queens earlier this year. Gulbis and Thiem played their only ever match in qualifying at Winston-Salem in 2012, which Gulbis won in straight sets. This shows how far both men have come in the last two years. Despite some superb results this year, both have stuttered during the summer hard court season. It always add an extra dimension to a match when you know the pair are good friends. Over best of five sets, i’d take Gulbis. David Ferrer faces a challenging second round match against Bernard Tomic. Ferrer lost a set in his first round match to Damir Dzumhur, which he won, 6-1 6-2 2-6 6-1. Ferrer has become much more vulnerable in the early rounds of tournaments this year. Once he gets his game going, as he proved in Cincy two weeks ago, he still beats most players on tour. Tomic defeated Dustin Brown in surprisingly straightforward fashion, 7-6(2) 6-4 7-6(3) in the first round. Tomic has had some solid results over the past two or three months. Beating Ferrer in a best of five set match is probably a stretch too far.